Earlier this year we asked what you would like to see as part of the new primary school in Docklands. We took your feedback and used it to brief the architects. Earlier this year, we asked the local community about their aspirations and ideas for a primary school in Docklands. Community feedback received during the community engagement stage was collected and given to the architects to incorporate into the school building design. We asked for your ideas to help shape the school by contributing to the ‘education specification’ (the school’s educational philosophy). The Community Engagement Report below captures the key findings from feedback we gathered online or at community workshops. COX Architecture received the report, and used it to help design the new school’s master plan. There is a high level of community support for the new primary school. Architecture and landscape: People are seeking a sustainable school building. They would like to see strong natural elements incorporated, including trees and vegetation. Participants suggested making the best use of the available space through vertical design and innovative ideas such as rooftop gardens, terraces and integration with the surrounding environment. Play and social: There is a desire for students to have play spaces that are open and connected to nature. Community connection: The new school provides an opportunity to create and enhance a sense of community belonging and identity in Docklands. 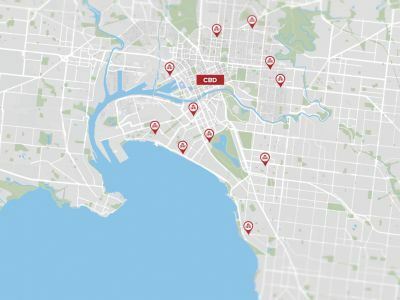 This could be achieved through community spaces at the school, and connecting students to local community facilities. Accessibility: Safe and easy access to the school for pedestrians, cyclists, public transport users and vehicles is important. Curriculum, learners and learning: There is support for an inclusive curriculum that offers a wide range of practical and specialist skills, including a focus on Science, Technology, Engineering and Maths (STEM). Celebration of multiculturalism and social diversity is an important consideration. There is a high level of community interest in future secondary provision in the area. We would like to thank everyone from the inner city community who contributed to the planning stage of a new primary school in Docklands. If you have any questions or feedback, please contact the Victorian School Building Authority. 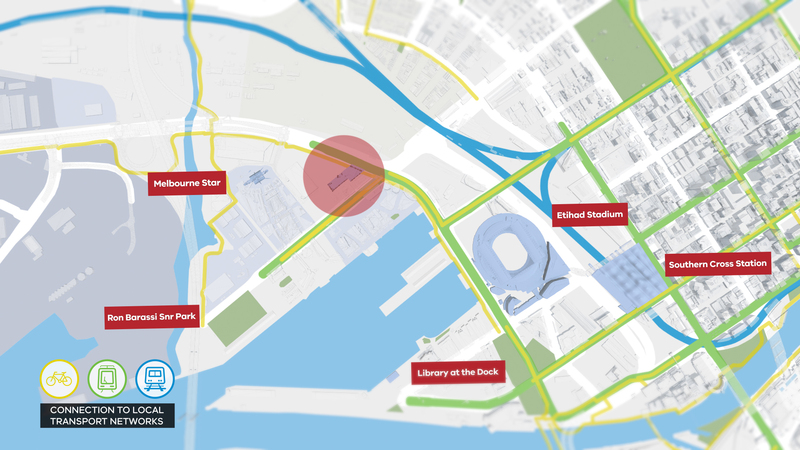 The Victorian Government has committed to building a primary school in Docklands. The Victorian School Building Authority (VSBA) has selected a site, and begun designing the school with COX Architecture. We have heard from you and reviewed your comments, feedback and ideas. We compiled these into a report, which is available on the ‘What we heard’ tab. Schools are more than a building – they are at the heart of a community. 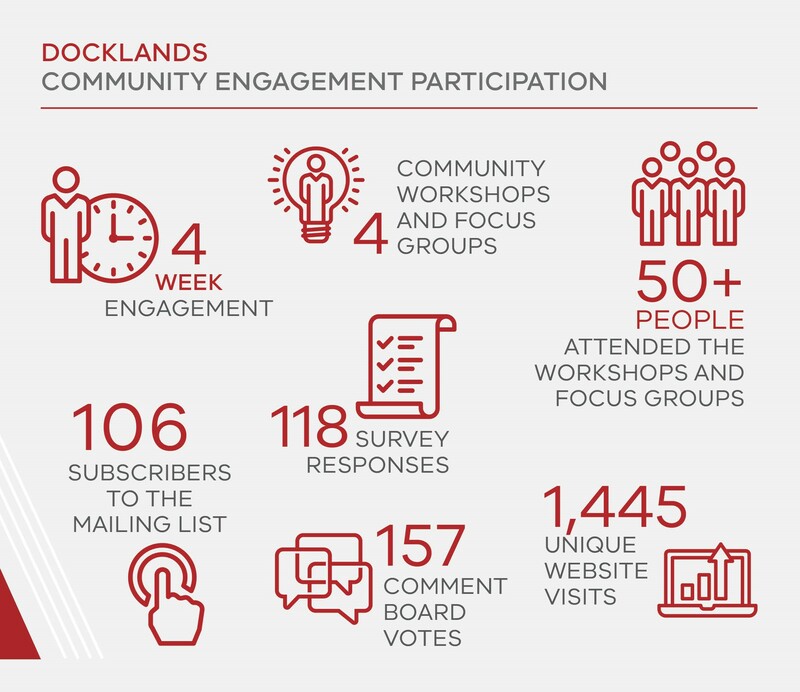 By providing input, you have contributed to building a vibrant community for Docklands. With your ideas, perspective and feedback, we will deliver excellence in education for the inner city. We are excited to have received responses from students, parents, educators, residents and business owners, who all make up the inner city community. 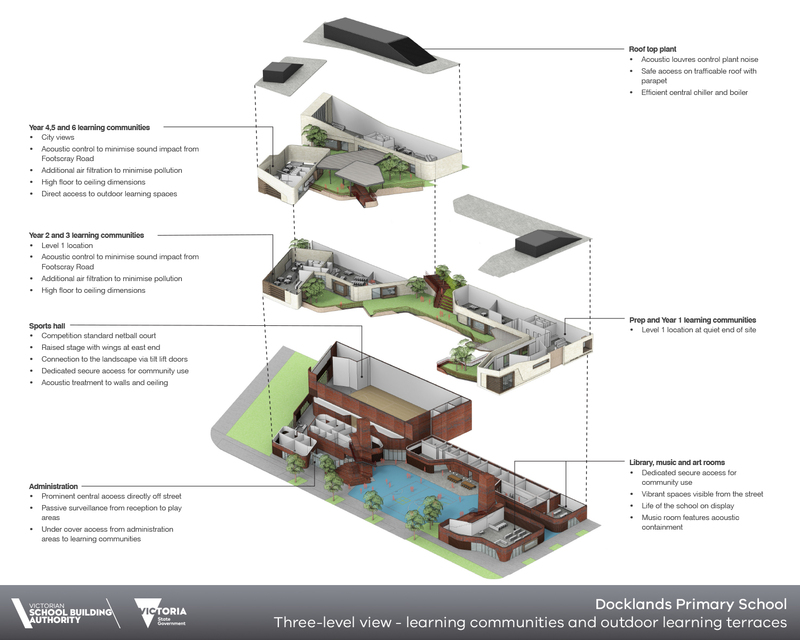 What will make Docklands Primary School a relevant and effective place for learning? shape the vision and educational approach (or 'education specification') for the new school. Please allow approximately 15 to 20 minutes to complete the survey. We appreciate you providing feedback. By providing your email address, you are agreeing to receive information about the new school in Docklands. We’ll always give the opportunity to opt out of email communication. 2b. What is the postcode where you work? 5. Do you speak a language other than English at home? 6. When you think about the Docklands community and environment, what are the first three words that come to mind? 7. Thinking about the design of the new school, how would you like to see Docklands’ unique character and culture reflected in the school building? 8. Which qualities do you consider most important for preparing students to be active, successful and engaged members of society? Select up to five you believe are the most important. These principles form an important part of the education specification, or educational philosophy for the school. The following questions are designed to explore how we can achieve the principles through the school design and operation. Aim: Create contemporary environments that facilitate a learning-centred approach where learning is seen as developing the whole person - intellectual, emotional, social, physical, cultural. How can we achieve this aim? Select up to five possible solutions. Aim: Honour and celebrate diversity – diversity in learners, cultural and social diversity - within the school and wider community. (Note. The school will be built to universal design principles, allowing all students of all abilities to participate). How can we achieve this aim? Select up to five possible solutions. Aim: Provide opportunities for meaningful engagement within and between community services, schools, families, and the wider community. How can we achieve this aim? Select up to five possible solutions. Aim: To support the physical and emotional health and wellbeing of the school community and promote positive social interaction. How can we achieve this aim? Select up to five possible solutions. Aim: Promote sustainability as a core principle in lifelong learning. How can we achieve this aim? Select up to five possible solutions. Aim: Use technology to enable both students and staff to learn and teach. How can we achieve this aim? Select up to five possible solutions. 10. What do you think are the most important school functions and spaces? Select the five most important spaces. 11. There are a number of school facilities that could be designed to be shared with the community. What kind of spaces do you think the community needs? Select up to three you think are most important. 12. Which of the following services do you believe would be most beneficial? 13. How will you / your child primarily travel to the school? 14. 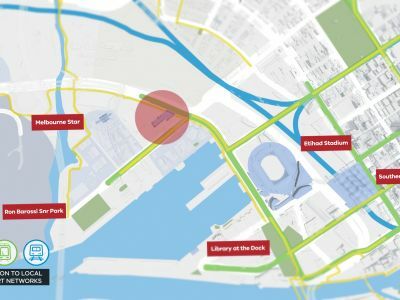 Thinking about the location of the school site within the surrounding Docklands precinct, how can we improve access to the school from the surrounding communities? 15. Is there anything else you believe we should consider when designing the school? Do you have any concerns, or ideas about how we can make the school exceptional? 16. How did you hear about the opportunity to provide feedback about the new school? 17. Which organisation informed you about the opportunity to provide feedback? 18. How satisfied are you with the current engagement process on the development of the Docklands Primary School in terms of opportunities to get involved and provide your views? Would you like to keep up-to-date on Docklands Primary School news? Add your preferred email address below and we will send you progress updates. When will the school be built? Is this school only for Docklands residents? What are the enrolment boundaries? What sort of school will be built? What about a secondary school? What kind of outdoor spaces are planned? Are there spaces for the community to access? The school design is currently on track, however no date has been set for the school to open. The construction and opening of the school are subject to future Budgets. The State Budget is announced in May each year. No, students are entitled to attend the school closest to their residential address. 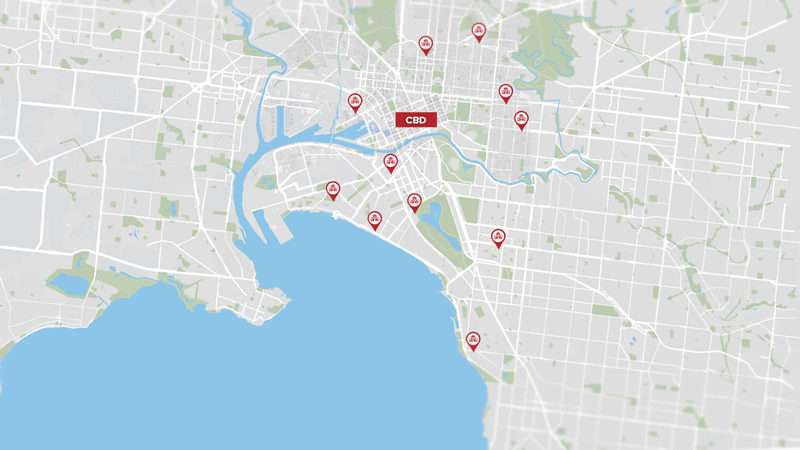 This will include parts of the CBD and West Melbourne. If this is not a student’s nearest school, they may attend subject to capacity. The Designated Neighbourhood Boundary or ‘enrolment boundary’ has not yet been determined. The Department of Education and Training will review this and announce details closer to when the school opens. However, as a principle, students are entitled to attend the school closest to their residential address. A principal has not yet been appointed. Principals of new schools generally start six months before the school opens. Given the complexities of this project, the Department of Education and Training may consider an earlier appointment. We will communicate this closer to this time. Enrolments will open six months before the school opening. The school will be built for primary school students from Prep to Year 6. We anticipate the new school will accommodate approximately 525 students, and a universal design will cater to students of all needs. We're making the best use of the site to create a learning landscape - outdoor learning spaces will feature on each level of the school. A 'town square' is created in the centre of the school with an active play area and tiered seating. There will also be a grassed area for children to run and play, and a competition-size indoor court for basketball and netball to allow for play, no matter the weather. The indoor court can be converted into a performance space, which includes a raised stage. Prep, Year 1, 2 and 3 will be located on level one - which only requires one level of stairs. Years 4, 5 and 6 will enjoy city views from the top level. Each year group will have their own dedicated indoor and outdoor learning space. The School Provision Review for Docklands recommended we begin planning a new co-educational primary school, as well as increasing available secondary school places in the area. A new primary school is the priority, as existing local ones are reaching capacity. Meanwhile, the Department of Education and Training is working to expand secondary school capacity across the inner city. We have already committed to build a secondary school in Fishermans Bend, we’re expanding Albert Park College to provide extra classrooms, and we have started work on the new Prahran High School. The master plan is now complete and we have been working on the schematic design, which looks at the functional elements that make the site work as a whole. This includes classroom configuration, storage space, and movement around the site. The next stage will be to develop the detailed designs. These are highly technical designs. 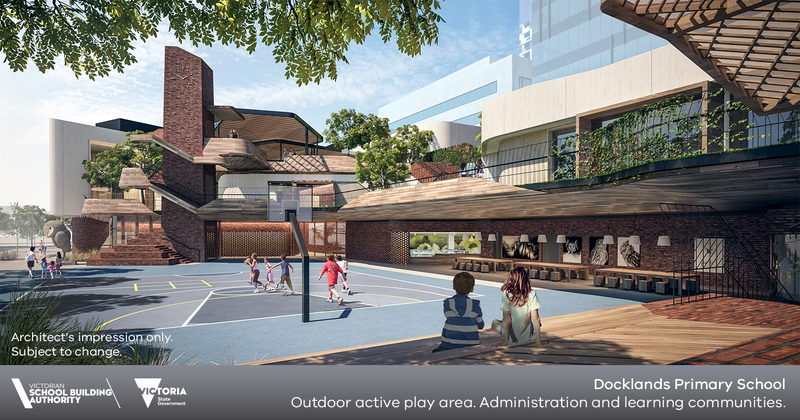 There will be a central active play area, a grassed area, and a competition-size indoor court to allow for play. Once a Principal has been appointed, they will determine the best way to share these facilities with the community. The school has been designed with the community in mind. Levels one and two can be secured to allow access to ground floor facilities after school hours and on weekends.